According to James Cameron, the Terminator 6 title is Terminator: Dark Fate. "That's our working title right now," says the director. As many would expect, the title is pretty bleak for the latest movie in the franchise, which will completely ignore the events of the last three installments and be a direct sequel to Terminator 2: Judgement Day. Tim Miller is on board to direct and Cameron is happy to let someone else do the heavy lifting for the project. The director says, "Tim's a very willful and opinionated director, and he's got his own ideas for the film." As for Arnold Schwarzenegger's T-800, he will be a lot different from the versions of the character that we have seen in the past. 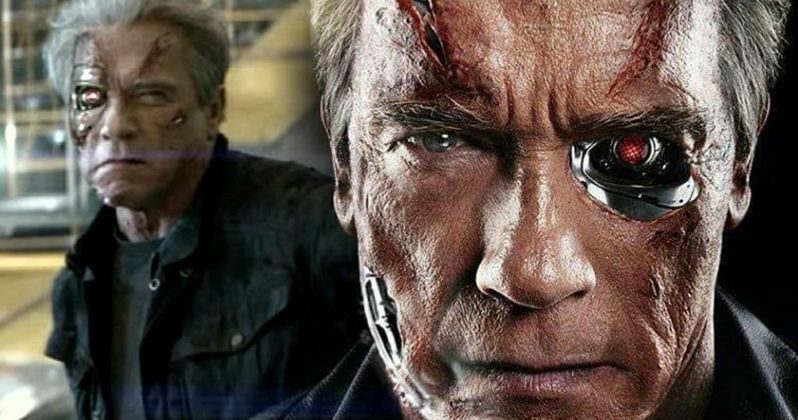 When the idea for Terminator 6 was first being thrown around, Cameron remembers saying that he "can't be involved in this film at all if Arnold (Schwarzenegger) is not in it." The director was also the one responsible for bringing back Linda Hamilton. Cameron had this to say when talking about the new T-800. "Arnold's back and he's bad... he's a different Terminator than you've ever seen before, I mean literally he's a different chassis number but he's also a very different guy than you've seen before." Linda Hamilton is playing a different version of Sarah Connor in Terminator 6. It appears the years after Terminator 2: Judgement Day have not been too kind on the warrior. We've seen images of Hamilton from the set, fully armed, with co-stars Natalia Reyes and Mackenzie Davis, and she looks pretty angry. You can read what James Cameron had to say about Sarah Connor below. "It's hardened her, but in a way that made her much stronger. Maybe less likable, but stronger. And ultimately, she becomes a really important character in passing the baton to the new characters that come in. It's a very female-centric film, which I'm glad Tim (Miller) embraced those themes." Terminator 6 sounds pretty bleak with the Terminator: Dark Fate title. Though that title can change at any time between now and the release date, it seems fitting when looking back at James Cameron's work on the franchise. The movie hits theaters on November 1st, so there is a lot of time to go back and tweak things, including the title. You can head over to Yahoo to read the full interview with James Cameron.